Chicken is one of the easiest meals to cook, and these twelve recipes will prove it to you. All recipes are super easy to prepare and perfect for tonight! Who doesn't love to have dinner on the table in under an hour? You'll absolutely be able to with this recipe. It has curry flavours, crunchy peanuts, crisp bell peppers and tender chicken, everything you need in a good meal. This one-pan chicken dinner is made using smokey and fiery chipotle peppers. The rich red coloured sauce had a depth of flavours that will linger on your tasted buds. The recipe is perfect for busy nights too. Soup is always a great meal because you can toss everything into the pot and forget about it for an hour or until you're ready to eat. This hearty soup is loaded with nutritious vegetables, chickpeas, chicken, and zesty pepper flavour. Serve with grilled cheese or plain quesadillas for a super comforting meal. You know that yellow curry powder in your spice cabinet that you just don't know in what else to use it? Well, you'll need it for this recipe. Dust the chicken, spinach and carrots for a finger-licking good meal. Chances are you've probably not tasted Sri Lankan curry powder, you really must though. This roasted chicken recipe uses Sri Lankan curry to season the meat and the flavours are out of this world. You don't have to go outside and fire up the grill for this salad -- though you could if you wanted. In this recipe, we use Cobanero pepper to give the chicken an intense heat and smokiness, which pairs perfectly with the other salad ingredients. These little savoury filled turnovers are such a special treat that can be served for dinner or even as an appetiser. Filled with roasted chicken and green chili peppers you'll love the wonderful flavours inside the flaky pocket. Looking for a super fiery chicken recipe to feed a crowd? This is it! The zestiness of habanero is paired with the tartness of achiote paste to deliver a flavour packed, super tender chicken. Tagine is a dish from North Africa and something that everyone must make at least once in their life (once you taste it you'll want to make it over and over again). In this recipe with pair chicken with dried plums, with aromatic spices and red pepper. Serve this at a dinner party or a family dinner. Up until a few years ago we didn't even know that curry was eaten in Vietnam. 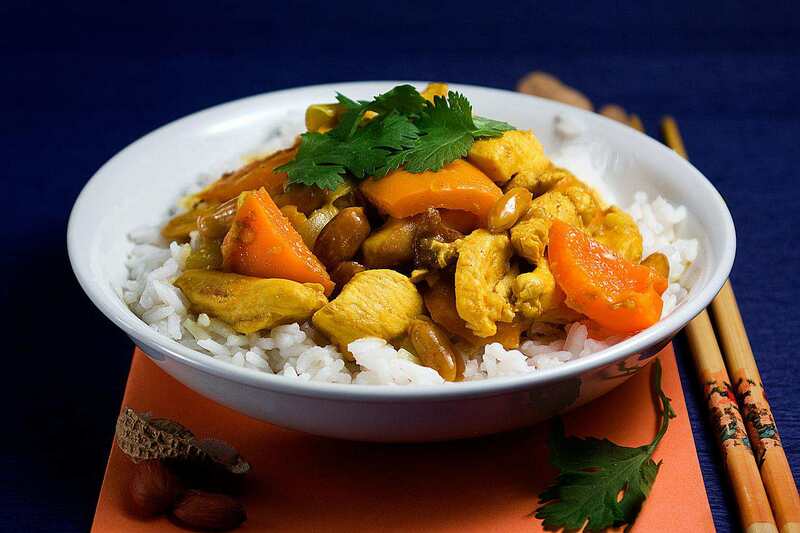 Vietnamese curry is very different from Indian and Thai curries, it stands all its own. Pasta is a very easy meal to prepare and this recipe keeps it quite simple. No need for fancy sauces that require long simmering times. You'll be amazed at how something so simple can be so packed full of amazing flavours. Spatchocked is not only a fun word to say but also a fun way of preparing chicken. Try this method to cut down on the roasting time of chicken.